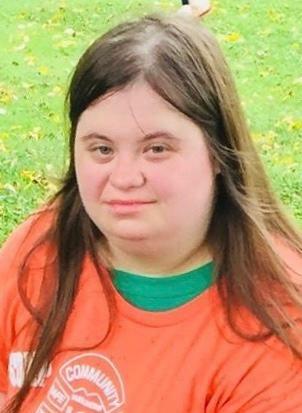 Kathryn Elizabeth LeRoy, age 27, of Auburn passed away on Saturday, February 2, 2019 at Parkview Regional Medical Center in Fort Wayne. She was born at DeKalb Memorial Hospital in Auburn on September 8, 1991 to David and Diane (Leslie) LeRoy. Kathryn received a certificate of completion from DeKalb High School and went on to attend the Choice program in Angola. For the past several years Kathryn has attended Easter Seals ARC in Fort Wayne. She always looked forward to going to Easter Seals throughout the week and visiting with her special friend Tywon on the weekends. She was a kind and loving person who enjoyed spending time with her loved ones and helping with children. She also enjoyed collecting DVDs, cookbooks and video games, being online and ordering pizza as often as possible. The family would like to thank the employees of DART Transportation and the many other agencies and individuals who assisted and befriended Kathryn at various times throughout her life. Kathryn is survived by her parents, her siblings; Alexandra and Andrew, her grandfather; John LeRoy, aunts and uncles; Donald, Hal, James, Renee and Sherry along with nieces and nephews; Alekzander, Ana, Avah and Isaiah. She was preceded in death by her grandmothers; Joan Leroy and Eloise Mason and her grandfather; Hal Mason. Visitation will be held on Wednesday, February 6, 2019 from 3:00 to 7:00 PM at the Feller and Clark Funeral Home, 1860 South Center Street in Auburn. Funeral services will be held on Thursday, February 7, 2019 at 11:00 AM at St. Andrew Evangelical Presbyterian Church, 316 West Fourth Street in Auburn with Pastor Adam Reasner officating. Burial will take place at the Woodlawn Cemetery in Auburn.